The 1st, 3rd & 4th Wednesday of every month. This excludes the months of July & August. 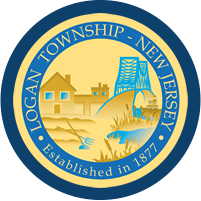 The Municipal Court of Logan Township handles traffic summonses issued by the Logan Township Police Department, the DRPA officers of the Commodore Barry Bridge and the New Jersey State Police. The court also hears cases involving criminal charges, disorderly person offenses, drug charges, citizen complaints and violations of municipal ordinances.